While some of the Caribbean is still under repair from 2017’s string of hurricanes, Aruba is one island open for business. Hit the sun and sea on miles of beaches, and don’t miss Flamingo Beach! Three major US airlines—Delta, American, and United—fly directly into AUA. 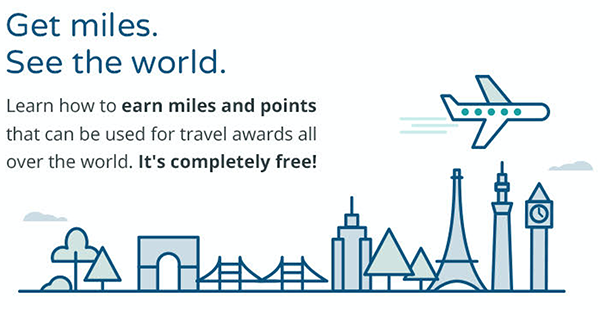 To get there, earn points on a co-branded Delta Gold SkyMiles American Express, Barclays American Aviator, or United Mileage Plus Explorer. Use points from your Barclays American Aviator card to get yourself to Kakslauttanen Arctic Resort in Finland where you can sleep in a glass igloo. Finn Air flies daily from Helsinki to Ivalo (IVL). If you want to cover the cost of your igloo room with points, you’ll want to do some earning this year on a cash back card like the Barclays Arrival Plus. Due to a health outbreak in 2017, we bumped Madagascar off last year’s travel plans—but as things get better in 2018, this gorgeous African island nation remains at the top of our bucket list. Don’t miss the lemurs, the beaches and diving along the northern coast. After that, hit the famed avenue of baobab trees. Star Alliance offers the most options to get to Madagascar’s Ivato International Airport (TNR) . Use United miles earned from a United Mileage Plus credit card or transferred to United from Chase Ultimate Rewards to fly on a partner award ticket on Turkish Airways via Istanbul, or South African Airways vis Johannesburg. The winter olympics are coming to Seoul, South Korea in February 2018, and it’s not too late to get in on the action. Use Ultimate Rewards points earned from your Chase Sapphire Reserve, transferred to Korean Airways, to book to Seoul’s Incheon (ICN) airport. In between Vietnam’s north and south anchor cities of Hanoi and Ho Chi Minh, lies more than a thousand miles of picturesque coastline. Travelers who hop between these big H cities by plane miss some of Vietnam’s best destinations—like the beautiful beaches in the resort town of Danang and its quaint neighboring colonial town of Hoi An. Fly direct to Denang (DAD) using Sky Team parters Delta and Korean. Earn Delta miles with the Delta Gold SkyMiles Business Credit Card from American Express card or book directly through Korean airlines using points transferred to Korean from your Chase Sapphire Preferred Ultimate Rewards account. Want to stay at the resort in the photo below? The Intercontinental Denang can be booked with IHG points earned on your IHG credit card from Chase. Head down under for your chance to see a Tasmanian Devil in the wild! But don’t leave after you’ve finished wildlife spotting. Tasmania’s Great Eastern Drive, Wine Glass Bay, and Freycinet National Parks are must sees. Oneworld airline Qantas flies several times a day from Melbourne, Sydney and Brisbane to Tassie’s four main airports. Use American miles to book your ticket to Australia (on AA or Qantas) and onward to Hobart. If you’re making Tasmania part of a longer trip down under and just making a short jump to Hobart, transfer Ultimate Rewards points earned on your Chase Sapphire Reserve to British Airways Avios for a lower cost Qantas partner redemption. Visit Alaska and Mt. Denali National Park in the peak of summer to experience 20+ hours of sunlight. To get there, use True Blue points from your JetBlue Plus card to fly direct into Anchorage! We recommend renting a car (use your cash back Barclays Arrival card to cover this expense) for long light-filled days of exploring the great north. A quieter and more rural destination than Buenos Aires, the Argentian city of Mendoza offers visitors bottomless Malbec set against a backdrop of mountains. Fly Air Canada to Mendoza from North American gateways. If you don’t already have a stash of Aeroplan points, you can transfer American Express Membership Rewards points from your Business Platinum Card from American Express to Aeroplan, or book an Air Canada flight as a partner award through United. You can also use points to book yourself into Mendoza’s top hotel—the Park Hyatt Mendoza. Get a 40,000 point sign up bonus with the Hyatt credit card from Chase, and earn enough points for two free nights in Mendoza.